I still wonder WHY after ALL these years …No one (including ) the Jewish community WONT ask Ellie Wiesel to ROLL UP HIS SLEEVES ! ??? . A very simple ASK ! So forget the Jewish community and ask why won’t the Christian community ask to see it? Oh, I forgot, the Christian community has been co-opted into the Jewish community. There’s the real answer to why he doesn’t have to roll up his sleeves. We’re all Jews now. I think you all are barking up the wrong tree. Mr. Wiesel has a marking and I have seen it. He is a very humble and private man that doesn’t like to talk much about the past. Now, would you if you had lived through this? Think of the solders who are coming back with PTSD, do they speak about what happened to them, no! My point. 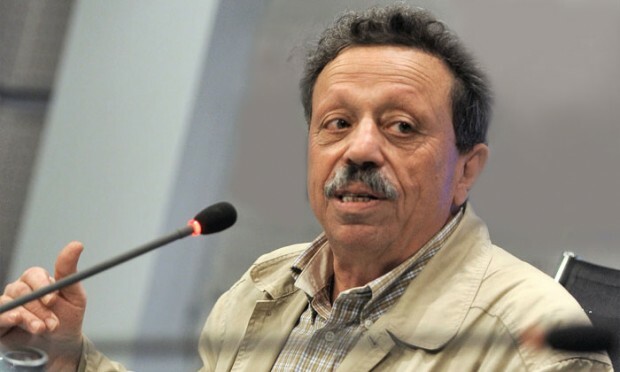 Leave the Professor alone and let him live his last days in peace. What a joker you are, “Nurse.” Do you think that I was born yesterday or that I haven’t heard it all from people like you? A marking? What is a “marking” and why don’t you describe it? Wiesel is “humble and private” and doesn’t talk much about the past? Do you know him? Of course you don’t. He has sought fame and fortune from an early age by being a front man for the holocaust lie. He craves publicity; he’s written 50 books! 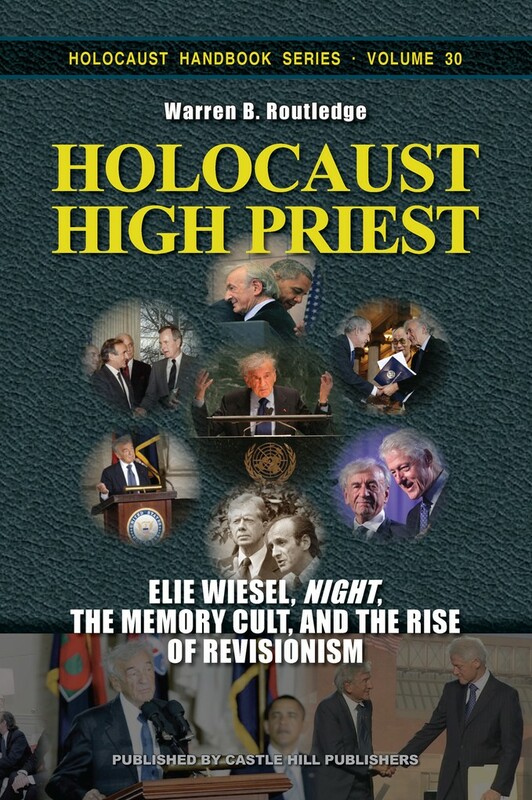 Look at the cover of the new book “Holocaust High Priest” by Warren B. Routledge and you will see Wiesel schmoozing with every U.S. president since Jimmy Carter. Since he was never in either german camp he says he was in, he cannot have PTSD. He’s not a professor either, having never even finished high school. Every single thing about him is fraudulent. He’s a product of the “Holocaust Industry” and more people should be engaged in outing him. 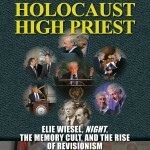 Even if Mr. Wiesel had a marking, which he hasn´t, that would prove absolutely nothing. Anyone could have had a small tatoo put on his arm in 1945. Maybe by the help of an american soldier. Knowing that a number on the arm would be very rewarding. Much for the financial privileges, but maybe more so for the astonishing effect it would have on people when you show them your arm.